Ledger Nano X review and comparison against 4 leading hardware wallets. We give you the pros, cons, and our final verdict on this surprising wallet. How Does the Ledger Nano X Compare? When French blockchain technology company, Ledger, was founded in 2014 by a close-knit team of eight cryptographic and security experts, no one could have predicted that less than five years later, Ledger would have grown to be one of the blockchain industries biggest success stories, with 130 employees and over 1.5 million units of its unique hardware wallets sold. Our full Ledger Nano X review – Find out how it compares with 4 leading hardware wallets below! Mt. Gox exchange. Over 744,000 Bitcoins were lost, and as a result, 2014 became a formative year for digital asset security. 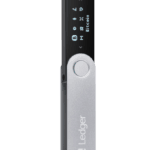 Founded on the principle of offering secure storage solutions for crypto asset private keys to combat further loss of funds, Ledger originally launched two hardware wallet products, the flagship Ledger Nano S and the larger, higher-priced Ledger Blue, which features its own touchscreen interface. 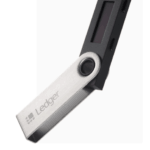 The Ledger Nano S is a sleek and stylish device, around the size of a traditional USB stick and weighing in at just 16.2 grams, and has become both the bestselling hardware wallet on the market, and Ledger’s number one product by a large margin, with over 1.4 million units sold worldwide, typically selling for around $60 a piece. Building on the success of the Ledger Nano S, there’s a new product release coming soon from the Ledger team, which is promising the most advanced security architecture built by Ledger yet, and greater user mobility than its popular predecessor – called the Ledger Nano X. 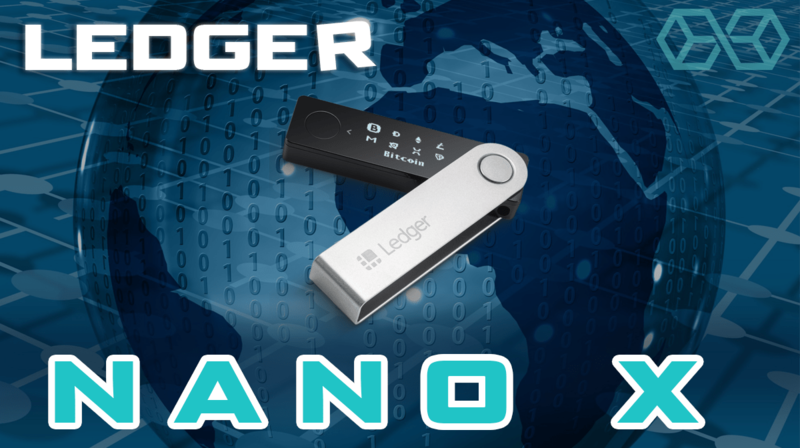 Ledger claim that its new Nano X model will feature the absolute cutting edge technology in cryptocurrency storage and transfer solutions, drawing features from both its Ledger Blue and Nano S models. 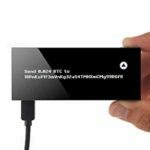 Blokt compares Ledger’s latest technology to other leading hardware wallets, to examine just how well the Ledger Nano X shapes up against the competition. But first, let’s take a closer look at the features and specifications users can expect to find with the new Ledger Nano X.
Don’t let looks deceive you. Despite a similar visual appearance to the Nano S, the Ledger Nano X has received a complete technology overhaul, sporting some serious technology under the hood. Most notably, in contrast to the Ledger Nano S, which only operates when plugged into a computer, the Ledger Nano X has now received its own battery, so it can be used wirelessly and on-the-go, which also allows for a larger and better screen than its predecessor. It’s not just better hardware either, the Ledger Nano X looks more stylish than its predecessor, too. 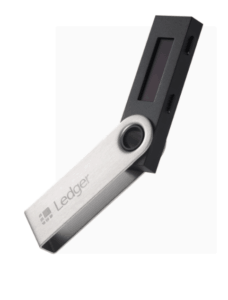 With a similar hinged metallic cover and a default black case design, at first glance, the Ledger Nano X retains its compact and functional aesthetic. Can you spot the hidden button? 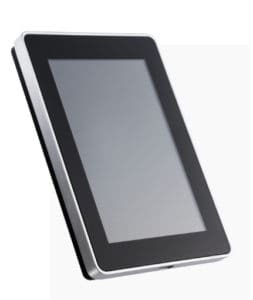 Once users flip open the device though, they will notice that the side buttons have been removed, instead replaced by far more functional buttons either side of the screen, with the left-hand button cleverly hidden in the hinge of the cover. This gives a much more streamlined feel to the wallet, as well as being more ergonomic. A bigger screen with a smaller bezel also makes the Ledger Nano X an all-around easier device to use and makes flicking through assets easier than ever – important, because as we’ll discuss later, the Nano X lets users store private keys to over 100 assets on a single device. In what has been seen as a somewhat controversial move by Ledger, and an industry first for hardware wallets, the Ledger Nano X will use a Bluetooth Low Energy (BLE) connectivity feature; which will allow the device to connect with iOS and Android devices without the use of a physical cable, in contrast to its predecessor. While Bluetooth capabilities are no doubt a boon for connectivity options, it’s drawn some criticism from some cryptocurrency users, who see Bluetooth integration as a potential attack vector and an exploitable feature of the new hardware wallet, which they claim could compromise the safety of users funds. As you’d expect, Ledger, who is well and truly in the business of crypto security, disagree with these concerns. For starters, the Bluetooth built into the Ledger Nano X isn’t the same as you’d find in other, less high liability devices. Instead, the Nano X implements a state of the art Bluetooth protocol which relies on pairing for authentication, employing AES-based encryption methods. 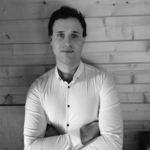 To expand on this further, the Bluetooth connection is used solely as a transport layer for publicly available information, and user private keys and seed phrase are never exposed via the Bluetooth stack. When transactions do take place over Bluetooth, users can double-check the true transaction details, and manually approve the transaction by pressing the buttons on their Nano X device. In short, no transaction signatures are issued without the user’s consent. 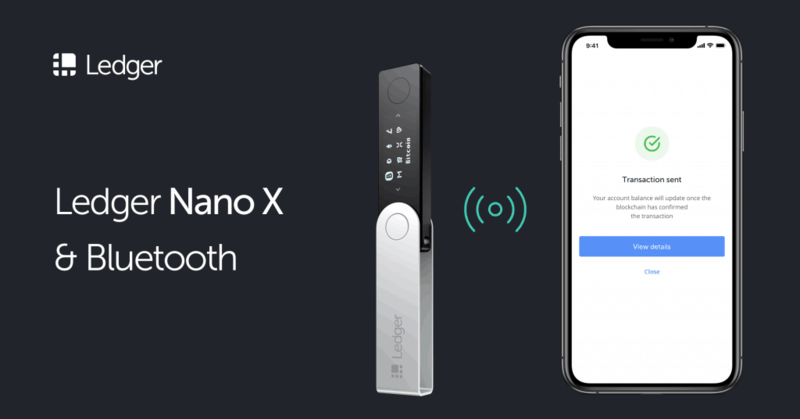 With security concerns dispelled, Bluetooth capability for the new battery-powered Ledger has the potential to transform how users use their Ledger Nano X to transfer crypto funds via the Ledger Live mobile app. Essentially, users can enjoy all the benefits of a mobile hot-wallet, such as sending and receiving crypto on the go, with the security guarantees of a traditional, offline hardware wallet. Still not convinced? 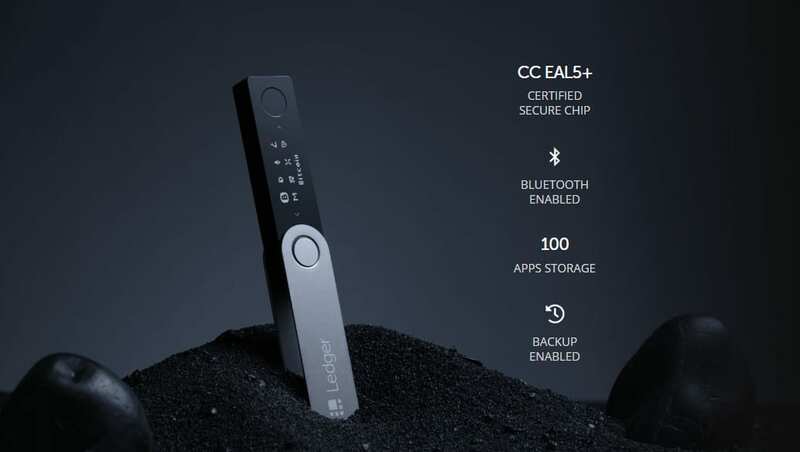 Ledger reminds its users that if they don’t want to use Bluetooth functionality – they can simply switch it off completely, essentially turning the hardware wallet into a USB type-C connection device like its predecessor. The Ledger Nano X will feature out of the box functionality with the Ledger Live app, an all-in-one interface to manage cryptographic assets. Through the app, users will have access to a multitude of digital asset types, available to store on their new Nano X device. The Ledger Live app features live balance reporting in user’s native fiat currency, and simple transactions. Crucially, for the Ledger Nano X, users will be able to easily install apps for new digital assets onto their device. Unless you’re prone to holding the most obscure of digital assets, it’s highly likely that ledger will offer support for your favorite crypto. 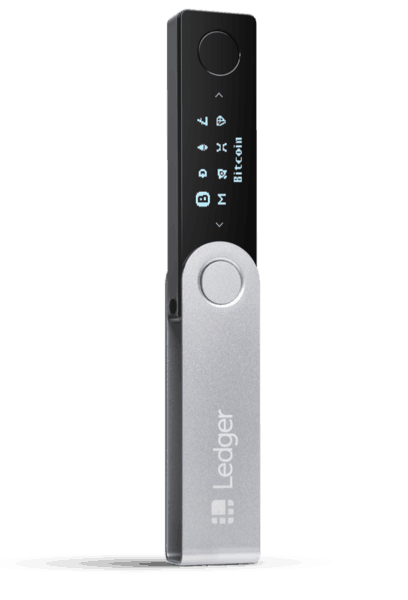 There’s the obvious functionality for the largest cryptos, Bitcoin, Ethereum, XRP, and Litecoin, but the Ledger Nano X is also going to support over 1,100 other digital assets. 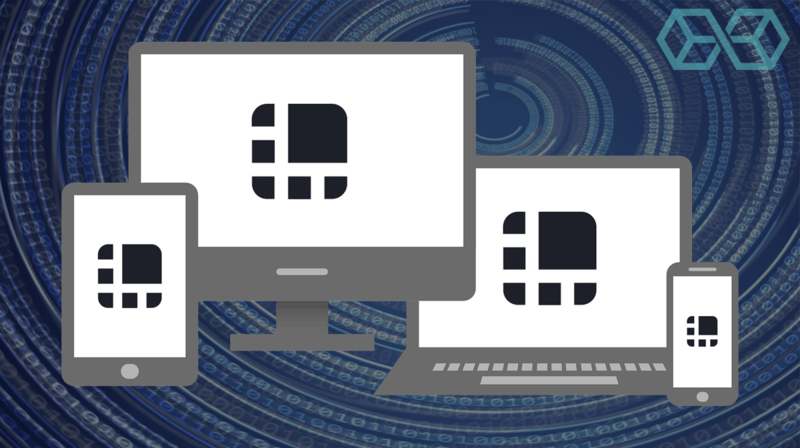 If you like to hedge your investments over a wide range of digital assets, the Ledger Nano X allows up to 100 separate digital asset apps to be installed on one device at the same time. We’ve already examined the major differences between the Ledger Nano X and its predecessor, but how does the latest device from Ledger compare with the hardware wallets offered by its closest competitors? Blokt reviews three separate hardware wallets, the Trezor Model T, the KeepKey wallet, and the Archos Safe-T Mini, their pros and cons, and how they differ from the Ledger Nano X.
Trezor is definitely Ledger’s closest hardware wallet competitors, and while it has never publicly disclosed its sales figures, there have been times when Trezor models have gone out of stock due to high demand. There’s traditionally been two distinct camps in the crypto world, the Trezor vs. Ledger maximalists, and as a result, these are the two most compared makes of hardware wallets. Like Ledger, Trezor also made its debut in 2014, established by development and software company SatoshiLabs. The Trezor Model T is Trezors premium hardware wallet, building on its original Trezor One wallet. Currency Support: Trezor officially state support for over 700 coins. The Trezor Model T comes in a premium looking box along with all necessary cables and some Trezor stickers to spread the Trezor word around. Importantly, the Trezor Model T also comes with a holo-seal over the USB port so users can be sure the device hasn’t been tampered with in transit. 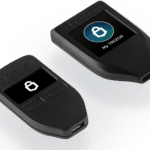 Setting-up the Trezor Model T is easy, and just requires users to download the Trezor Bridge software and update the device’s firmware. Although some have pointed out that unlike other hardware wallets, even though it reminds you to do so, the Trezor doesn’t make you write down your seed phrase before you go on – this is fine and time-saving for some, but for those with beginners knowledge of cryptographic security, potentially catastrophic. 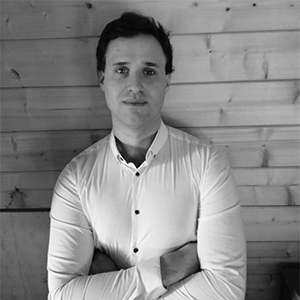 In terms of security, there’s no doubt that the Trezor protects your cryptographic assets with the leading security features, and Trezor hardware wallets are an incredibly secure place to store your private keys. 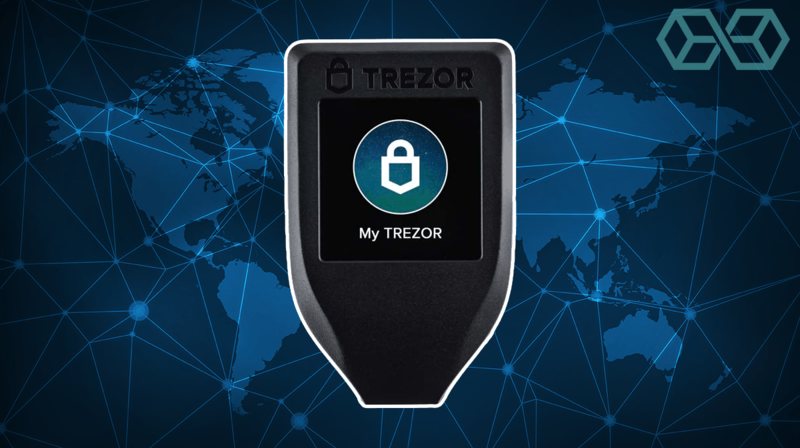 Trezor’s code is open-source and auditable, whereas the Ledger Nano X runs on Ledgers proprietary operating system, BOLOS. Overall, the look and feel of the Trezor Model T isn’t quite as pleasing as the Ledger Nano X. With a fairly large plastic body, and an open port on one end, the Trezor Model T looks more like an external hard drive than a sleek crypto wallet. That said, users can occasionally purchase special edition metallic Trezor Model T’s, like the SatoshiLabs 5th anniversary edition, which admittedly looks great, but will set users back a staggering $550. The Ledger Nano X appears to offer more in terms of security, connectivity and coin support, all at a lower price point. Trezor’s commitment to open source code will likely make it a favorite among some tech-centric users, but its higher price and less supported coins could work in Ledger’s favor. The KeepKey hardware wallet was developed by the ShapeShift cryptocurrency exchange in 2015 and has since become a serious competitor to the Ledger and Trezor hardware wallets. The first thing most users of KeepKey devices will notice is how good it looks. With a metallic aluminum unibody design case on the back and a seriously futuristic looking full-length polycarbonate screen, the KeepKey looks like a miniature smartphone. While the KeepKey wallet might be big in size, it doesn’t boast a very impressive number of assets compared to the market leaders Ledger and Trezor. Despite this, KeepKey does support the largest market cap coins, such as BTC, ETH, and LTC. Security wise, the KeepKey, like other hardware wallets, uses a limited protocol which never exposes private keys to connected devices. Users will be prompted to provide a PIN, and also have the option to add a passphrase (a word/words of your choosing) to their recovery sentence for added security. KeepKey is set up to be compatible with the ShapeShift exchange out of the box, so it’s naturally become a firm favorite for users of this exchange. How does the KeepKey wallet compare with the Ledger Nano X? KeepKey have reduced the price of their device dramatically since its launch, and it’s now on par with other affordable hardware wallets. 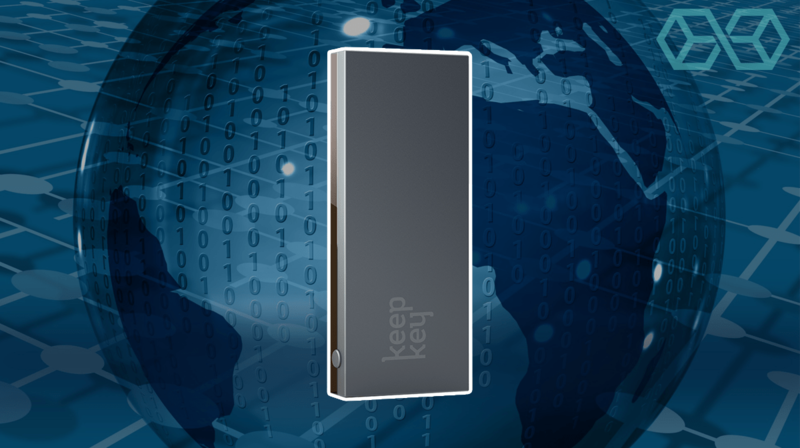 Overall, although the KeepKey goes the extra mile in terms of design, the limited asset support, and the large and heavy build of this hardware wallet will make many users consider a more mobile and flexible device, such as the Ledger Nano X.
KeepKey will likely continue to find support from its ShapeShift patrons, and if it releases a slimline version of its hardware wallet, which manages to both retain its sleek design elements and support more assets, it could become a strong competitor to Trezor and Ledger. 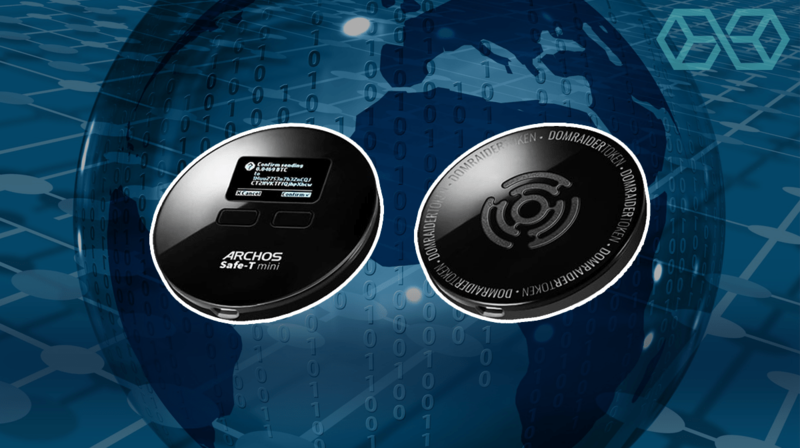 The Safe-T Mini is a hardware wallet offering from French technology company Archos, which also manufacture smartphones, tablets, and electric personal vehicles. This hardware wallet is also built in France. 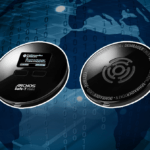 The Safe-T Mini is a circular device, with an OLED screen up front, capable of displaying full-length wallet addresses. Dual buttons on the front of the device allow easy navigation between options and assets. Other than the Safe-T Mini’s novel circular design, it doesn’t immediately stand out as having any special design features, and is available to buy only in black, making this hardware wallet option stronger in function rather than form. The Archos Safe-T Mini offers a nice unboxing experience and comes complete with a carry pouch, but doesn’t feel as premium as the Ledger Nano X, Trezor or the KeepKey wallets. However, it is small in hand, and incredibly light. The Safe-T Mini is really let down by the limited number of crypto assets it supports. Apart from ERC-20 tokens which are supported on the device by proxy of its Ethereum support, the Safe-T Mini also supports Bitcoin, Bitcoin Cash, Bitcoin Gold, Litecoin, Dash, Ethereum, and Ethereum Classic. 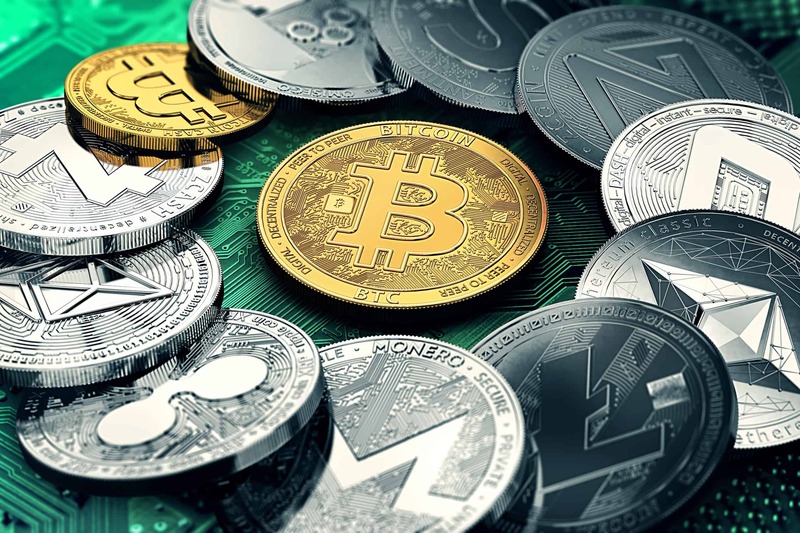 Whether this limited support is due to that fact that Archos is not a dedicated cryptocurrency security firm and this is its first foray into cryptocurrency isn’t known, but it’s still definitely a limiting factor for those users who hold a large variety of digital assets. A very affordable hardware wallet. Double the price of the Safe-T Mini. Although the Safe-T Mini is severely limited in terms of coin support, it has promise in other areas. At an attractive and affordable entry-level price-point of just $60, this hardware wallet is perfect for casual users who simply want a device to buy and store some Bitcoin or Ethereum for example. However, if you’re going to be using the Archos Safe-T Mini regularly, its design could be improved, along with its connectivity options. Overall, a good beginners hardware wallet, but far from the premium Ledger Nano X. Although it’s not released yet, the Ledger Nano X is truly shaping up to be the most advanced hardware wallet on the market, and it’s not looking likely that it will be removed from its podium anytime soon. If the Nano X can mirror the sales success of its predecessor, Ledger will find itself as a crypto hardware wallet firm favorite by a large margin. 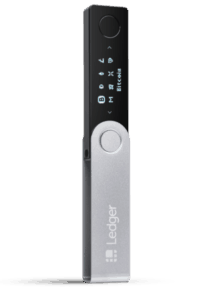 However, some members of the blockchain community may require more convincing that Ledger’s new Bluetooth Low Energy technology is truly a safe implementation within the latest device and not an exploitable security risk to users’ funds. Once the Ledger Nano X proves its utility, it’s highly likely to become one of the most popular hardware wallets ever available. So pick one up along with a decent VPN and a cryptosteel to make sure your security practives are on point. "The Ledger Nano X is truly shaping up to be the most advanced hardware wallet on the market, and it’s not looking likely that it will be removed from its podium anytime soon."